Save the edited 4k game videos to any popular video format. Sometimes it’s your hardware that decides the gap between your wining honour and annoying defeat. Yeah! If you are a true gamer then you must have a high performance PC that can support your 4K games with never ending performance quality. Essentially, if you are deeply in love with action games like racing, sports and the ever loved first person shooter games then powerful graphic mean a lot to you. A good quality PC can offer you incredible picture quality without those blurred images, flickering motion and tearing frame quality. If you want to defeat your opponents with great performance in action games then it is good to add more focus on selection of right PC, it must ensure you smooth and highly immersive picture results so that your gaming experience can be awesome. Go through this guide below and get some useful details about some of the best 4K gaming monitors available in the market. Buying best one will help you to become a super gamer. You can generally find all new gaming PCs with screen size variations between 24 or 27 inches where the first one promises incredible picture quality with bigger displays and the latter ensures delivery of action loaded frames with wider view. The latest ultra wide and curved monitors also deliver impressive performance. Refresh rate helps to define that how many frames your system can support per second; it is good to have higher frame rates for better gaming experience. Response time determines the ability of the system to react to inputs; you can relate it with smoothness of picture quality. It is time to enhance your gaming experience with UHD Display offered by Acer Predator. This monitor is designed with NVIDIA G-Sync technology that ensures incredible vision without screen tearing and further, the built in classic eye protection system assists users to stay strain free even after enjoying games for several hours. 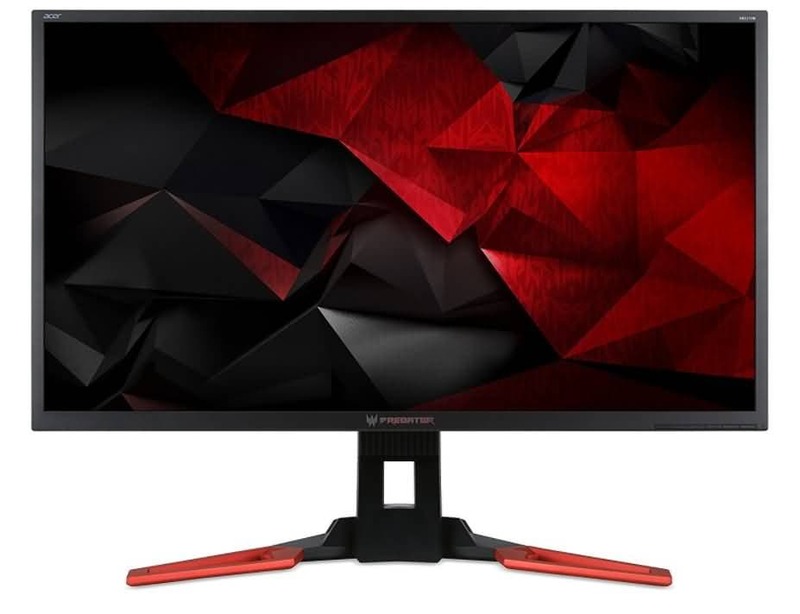 Gamers are always curious to have deep details in frames appearing on screen, the Acer Predator is designed with IPS display that offers UHD content quality on its 32 inch display screen. Professionals rate this monitor as high end gaming monitor that can handle high data transfer rates with DisplayPort and HDMI port like high bandwidth type connection options. Developers of Asus Predator have incorporated advanced synchronizers in form of NVIDIA G-SYNC where monitor supports high refresh rates with extremely powerful GPU. The response time is reported to be 4ms that enhances smoothness of display. This monitor is designed with Energy Start rating and the EcoDisplay technology is used for designing white LED backlight that is free from mercury so power consumption is naturally reduced to 68%. When you are playing a powerful action game against your enemies then we cannot compromises for missing frames. Probably, developers in Acer world knew this fact well that is why they have created Acer XB280HK model with classic 4K resolution so that you can enjoy incredible gaming experience with clear and smooth display. The G-Synch technology offers high end synchronization whereas power saving tricks has been utilized to conserve resources. You will be amazed to see its fast response time with 1ms rating so that all dramatic transitions can appear smoothly without ghosting effect. This is one of the best recommendations for graphic designers, students, programmers, gamers and programmers. It offers five 3.0 USB ports for easy connections to the external world. The fast charging USB offers best battery charging experience whereas 28 inch LCD comes with energy star rating that ensures energy saving. The 4K Ultra HD gaming monitor with IPS panel ensures seamless detailing for visuals. With its 3840x2160 resolution level you will get sharp details for your action games. 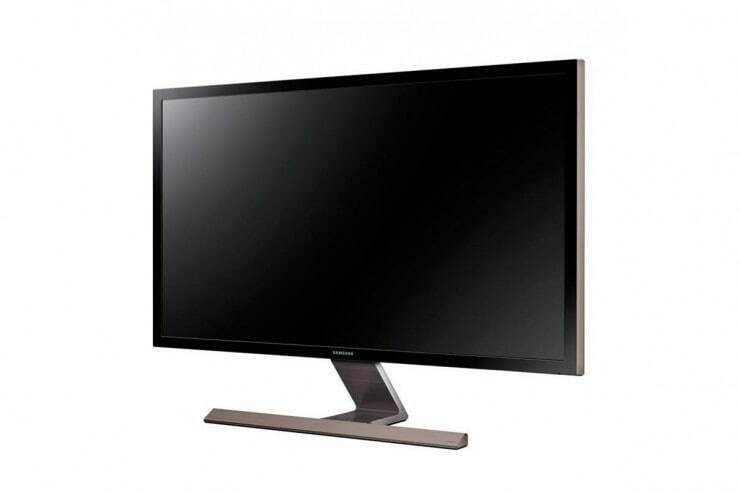 This classic monitor comes with pro style color settings that are customizable as per need of particular game. Also, the adaptive synchronization technology promises picture perfect and tear free gaming experience. You will be impressed to work with its 5ms response time that reduces input lag to very low value so that game can run with smooth motion without missing frames. 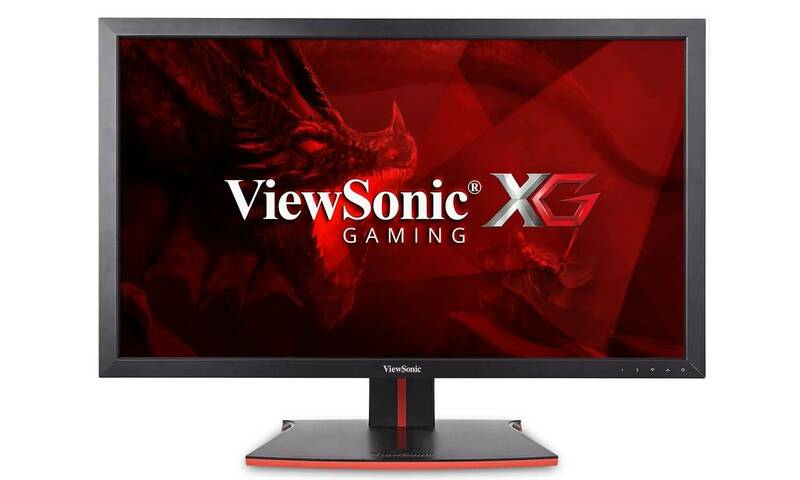 One of the most amazing things to know about ViewSonic XG2700 is its ability to handle about 8 million pixels for displays so that game lovers can avail immersive details with outstanding clarity. This pixel rating is almost 4 times higher than that of simple Full HD resolution. The perfect combination of technologies for this advanced gaming monitor ensures great results for your gaming battlefield. 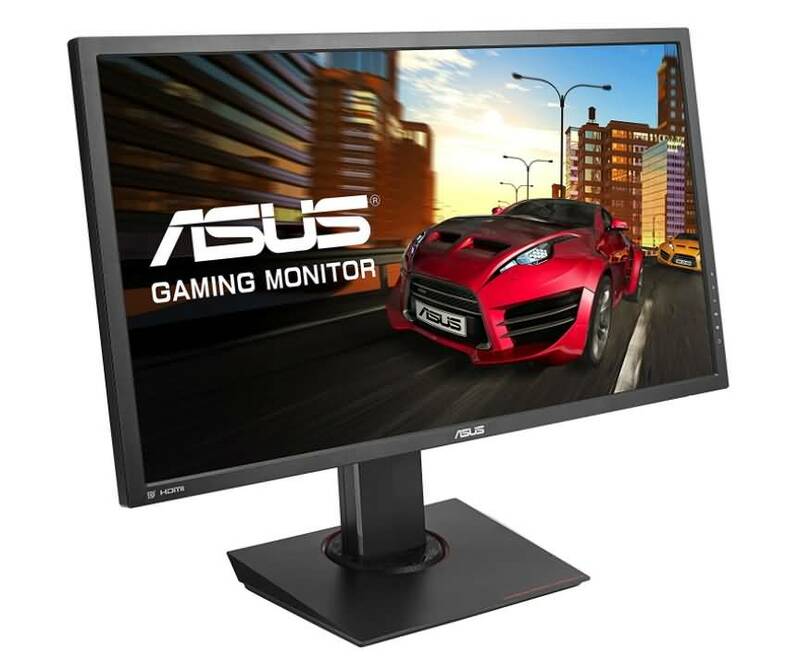 Here is one of the most interesting gaming monitor from Asus that delivers amazing picture quality on its 28 inch highly features display panel. The response rate is much faster with 1ms rating whereas AMD Free-sync technology ensures perfect delivery for frames without losing any content. 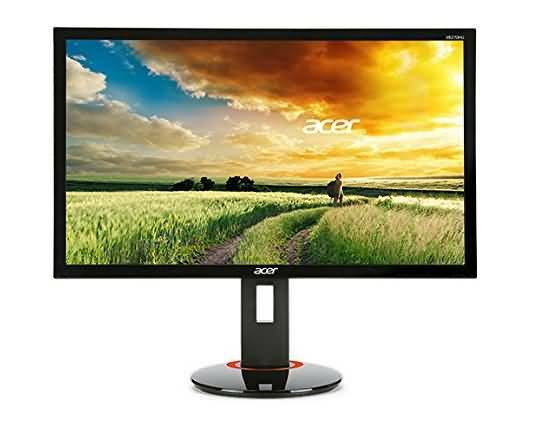 This monitor is designed to ensure great details with its 3480x2160 resolution level and MG28UQ provides four time higher pixel rating as compared to simple Full HD display. You can avail 60Hz refresh rate via HDMI and DisplayPort and there are great connectivity options for external world with two USB ports that can also be used for mobile charging. One more interesting thing to know about Asus MG28UQ is its crosshair option that allows users to enjoy 4 unique crosshair overlays so that they can be easily adjusted as per gameplay style. This amazing monitor assists users with amazing Ultra HD image quality that provides four times higher resolution as compared to Full HD content. The 8 million pixel carrying capacity ensures stunning details for every frame. UE590 is dedicated to improve your viewing experience with 64 times higher color details as compared to simple monitors. You can expect 1 billion colors on this screen that leads to seamless experience for games, movies and other video clips. The added PIP technology help users to manage their spreadsheet while watching impressive 4K content and connectivity to external world can be maintained with two HDMI and one DisplayPort. The supported refresh rate goes up to 60 Hz so that viewers can enjoy smooth frame movements without facing any input delays for their action games. The AMD FreeSync technology improves synchronization between refresh rate and frame rate so that lags can be avoided whereas the fast response time with 1ms rating delivers fast motion on screen. Well, in case you need to record your gaming, we recommend you to try Filmora scrn Screen Recorder Software. Why? Let me show you some features of Filmora scrn. The first factor is that Filmora scrn is affordable. You can get the one-year license with only $19.99, and the lifetime license with $10 more (namely $29.99). Most screen recording software, such as Camtasia and Movavi, are much expensive. Camtasia costs $199, while Movavi costs $99.5. Second, the interface of Filmora scrn is clean, so you can easily record and edit your gaming footage. Third, it can record up to 120FPS. This is extremely useful when you are using a monitor with a refresh rate over 60 Hz. What’s more you can record your gaming screen and the webcam simultaneously. There are much more features in Filmora scrn, and you can download it now and figure it out by yourself.